These servers are managed by client and server side like- responsibilities, necessary configurations and server management and it is users responsibility to that keep your website up-to-date and make it safe from hackers. And it is low expensive than managed server, and it required to technical knowledge that will help to operate it time to time by users. In simple term unmanaged server is set up your account logins. By unmanaged set-up, you can permit antiviruses and firewall and you can also disabled unnecessary things that you wish. In unmanaged VPS you need to enough server expertise in server management. It is a little burden for administration. 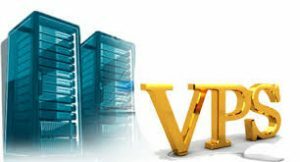 You should try to get Unmanaged VPS server for your business, it is the best server for those firms which want. To use high bandwidth speed. RedServerHost introduce our clients to all features of the unmanaged server, you should visit their site and start the business with them.